Working out has been my biggest focus since 2016 started. I started with daily yoga (112 days strong!) and added in the 21 Day Fix Workouts. And then life happened - on the second last day of that first 21 Day Workout, I sneezed. Now a sneeze, in of its self is not a big deal. But when you are laying on your back doing an ab move, sneezing can cause your head to jerk forward and then slam into the floor. Which is exactly what happened. I sneezed and butted the floor causing a minor concussion. Let me repeat that... I sneezed and gave myself a concussion! What followed, was twoweeks of sleepless night and migraines not affected by aspirin or ice packs. I went to the chiropractor and discovered my alignment was completely off. I tried to get into the doctor but the earliest I could see her without going to emergency was three days ago. And in the states you don't just go to the emergency room. So for whole month I've dealt with the after effects of a sneeze. 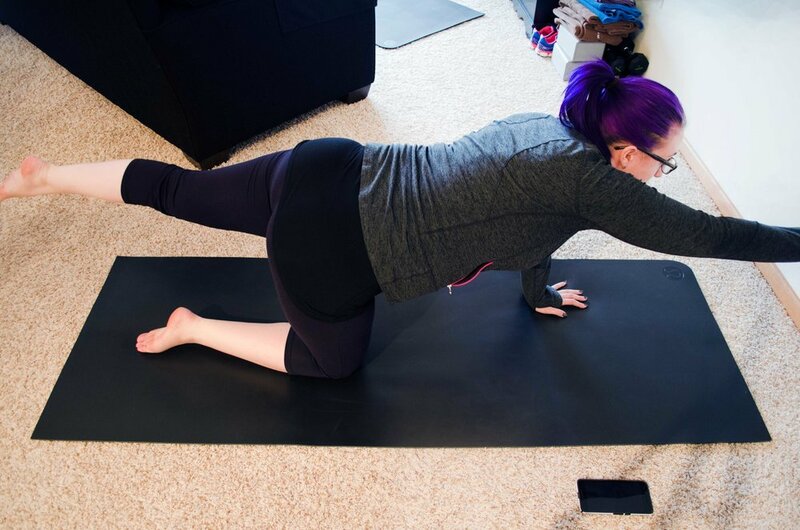 From March 20 to April 6 the only workout I felt up to doing was yoga. Basically it was the only thing that didn't cause my head to spin! On the 7th, bored and needing more, I added in pilates, doing pilates in the morning and yoga at night. This is very frustrating, as my original goal was to add running to my workout regime for April. Training for a 5k. By the time the 11th rolled around and I felt up to a full workout, I was done with being lazy! Since then I've done 1 main workout DVD daily and 10 minute abs every other day. I've also gone from 20-30 min yoga videos to 30-40 mins. It's been enough to normalize my sleeping again, but I want more! I want to be running. It's warm enough to be outside and there are paths to explore! Fingers crossed May will allow me to run without dizziness!! What do you do to recover from injury?